Do you want to attract influencers on your blog and grow your business? Are you looking for proven ways to build strong relationships with influencers in your market? If you’ve answered yes to any of these questions, then you’re in for a big treat. Investing your time and money into influencer marketing can get you ahead of your competitors. If you ignore it, you’ll likely struggle to build a thriving business. Because according to Visual.ly, 3% of people generate 90% of the impact online. Obviously, this 3% is made up of macro and micro-influencers. Have you ever wondered why a handful of bloggers have your attention? 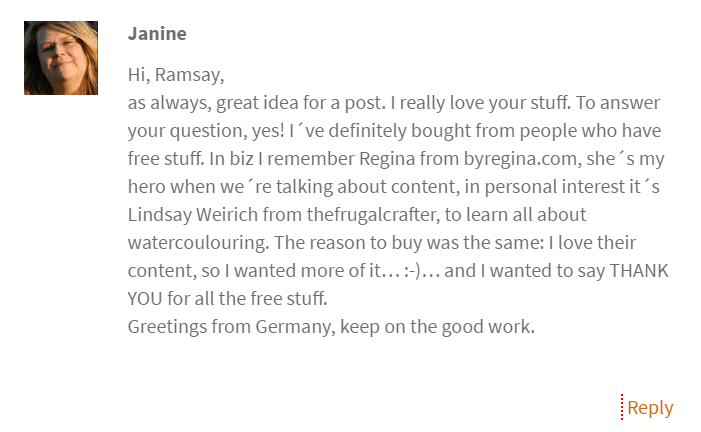 I mean, when you see a post from either of the blogs you simply can’t resist it—that’s influence! 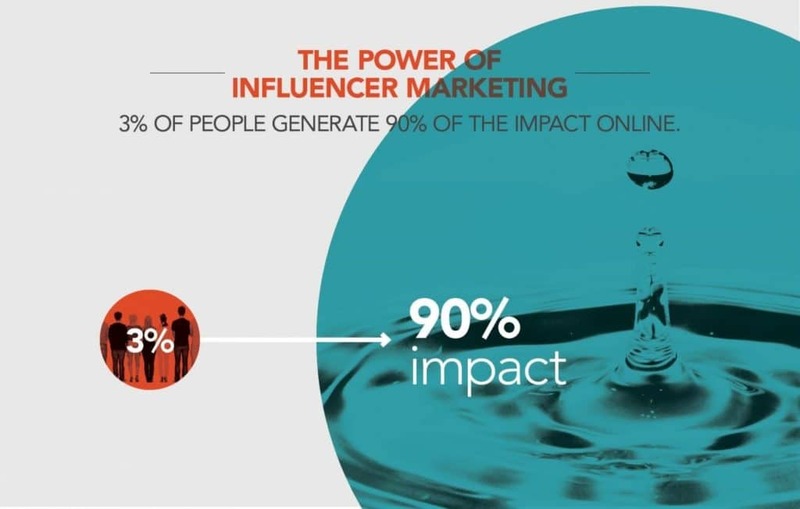 Since you want to make an impact online as well, and a measly 3% of influencers already have it, the smart thing to do is to connect and network with this influencers. If you’re ready as I am, I want to show you the 7 proven ways to do it with your blog. Here’s the deal: You can actually hook influencers with your blog—it doesn’t matter whether you’re new in the market or have been in the trenches for long. This is where the popular saying, “build it and they’ll come” might apply. Because if you create a blog post that influencers benefit from, they’ll share, link to it, and refer to it over and over again. 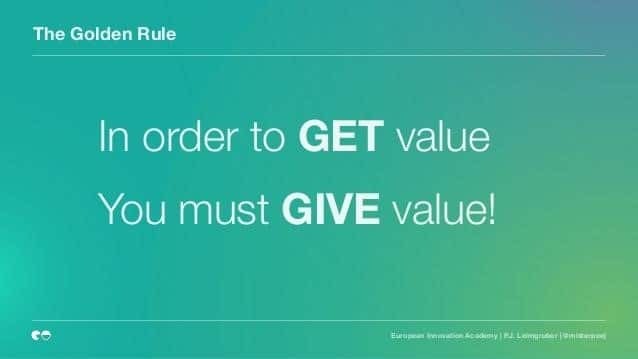 In order to get value from others, you must give value first. A huge mistake that most bloggers make is trying to network with influencers when their blogs don’t offer value. I can’t emphasize how important giving value in your posts can be. Not all blogs are created equal. You’ll agree with me that some blogs offer tremendous value which prompts you to share and link to their posts willingly. Why? Because you care about your own audience. And you want them to have a taste of “that” insightful post. So, avoid duplicate, low-quality, thin, and/or generic content—these are not designed to give value. Remember that once your blog is full of valuable posts, you’re now ready to network and win influencer’s heart. One of the quickest ways to prove that you want to network with influencers is to support what they’re already doing. How? Simply link to their resources? By resources, I mean exclusive data, insightful podcasts, keynote presentations, tools, books, among many. Bloggers and digital marketing influencers know the value of a single inbound link, especially if it’s from an active and relevant blog. So, they’ll appreciate what you did and will reciprocate in several ways. Though it might take some time. But keep linking out to them. In my recent post, I linked out to 13 resources and got 5 backlinks in return. I also got 83 tweets and 14 Facebook shares. Here’s an excerpt from the post. The rule is simple: Only link out to valuable resources. Don’t just cite a piece of content that will not help your audience—simply because you want to inspire an influencer—it doesn’t work that way. Well, you’ll continue to hear it because it’s true. If you build an email list and truly give value to subscribers, you’ll make a lot of money. 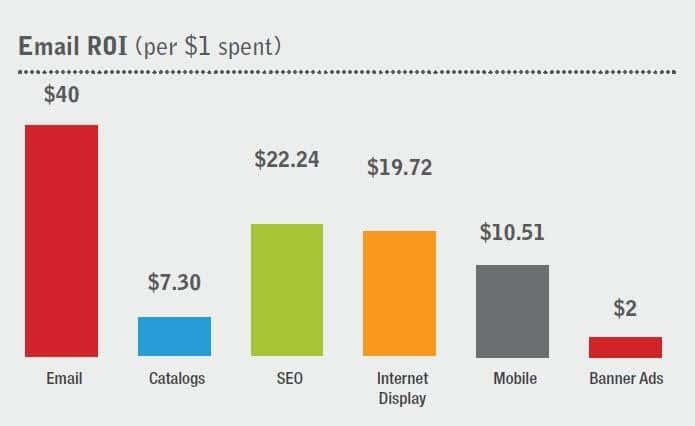 One study shows that for every $1 you invest into email marketing, you get $38.98 ROI—far more than other SEO and other channels. Hence, influencers love to collect email addresses. They’re using webinars, paid advertising, offline events, pop-ups, PR, and several strategies to generate more opt-ins. If you want to network with 3 influencers for example, here’s what you should do. Subscribe to their email list, reply their emails, ask questions, and be willing to implement their advice. Over time, you’ll become their favorite subscriber and they can do anything to satisfy and retain you. Influencers have lives outside of the web. 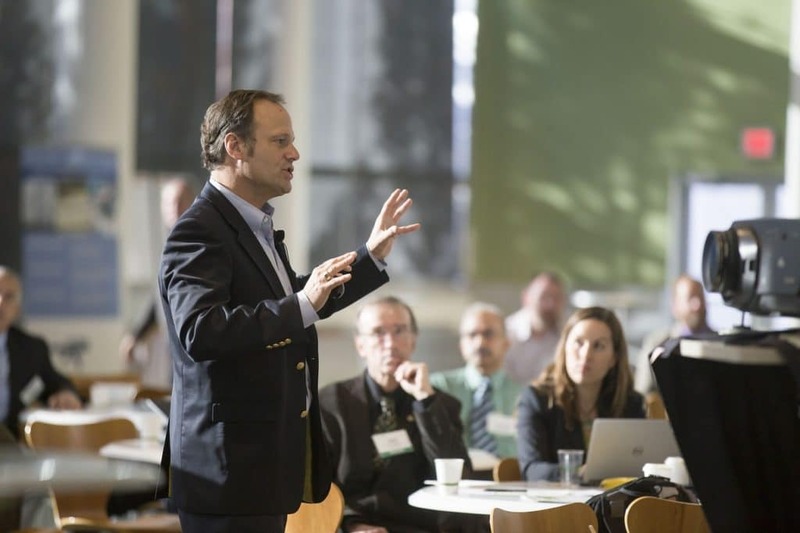 Public speaking is lucrative, and it’s one of the most effective ways to gain more influence online. Hence, influencers like to use this medium to communicate better. 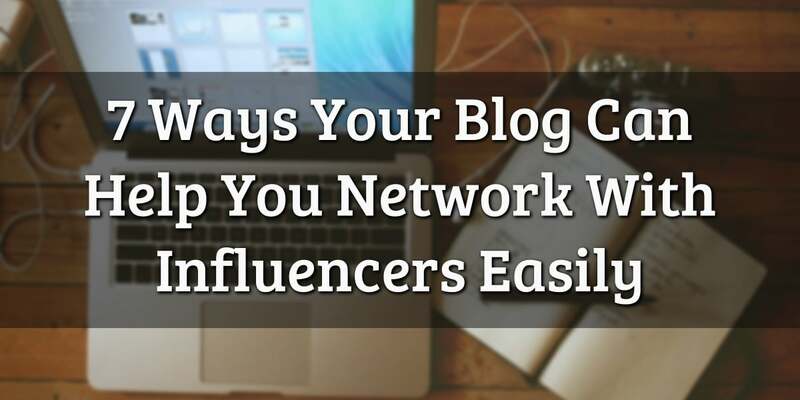 If you can host a Blogger Event and invite some influencers whom you admire and trust to speak to an audience, you can quickly network with them at a personal level. Start from where you are. You could use Meetup.com to host a live event, where 10 - 50 bloggers can come and be upgraded. Use this medium to prove your expertise and quickly connect with influencers. Over the years, I’ve found that the best clients and influencers that I’ve worked came from personal recommendations from friends, family members, spouse, or happy clients. In the same way, instead of sending a cold email to an influencer asking them to share your latest post, you could ask someone else who has a connection with your target influencer to refer you. Tell me, how easy it is for you to connect with Brian Tracy, Tony Robbins, and the like? It’s almost impossible to get a reply. But guess what? If you have a connection with one of their best students or partner, you can get a quick recommendation and that settles it. All they have to do is send an introduction email. It’s usually brief, relevant, and persuasive. This is critical if you want to connect with top influencers who are difficult to reach. Influencers want to be interviewed. Why? Because it’s an opportunity for them to pass their knowledge, share their struggles and successes, as well as connect with a new audience to further expand their business. It’s also no secret that influencers are busy people. But if you’ve been giving value in your blog posts, linked to influencers, shared their posts, and supported them in any way—this is the best time to invite them. Trust me, you’re no longer a stranger to them. You could host your next podcast with one of these influencers, or schedule a Skype call with them. Typically, a 5 - 20 minutes interview section is ideal. You don’t want to waste their time. Ask thoughtful questions, and make sure you share insights, lessons, or recorded sessions on your blog to help your audience. When I started leaving valuable comments on Neil Patel’s blog, he noticed it, appreciated it, and visited my blog. He also gave me some insights on how to use webinars to grow my consulting business and make more money. Read the latest post. Then, pick one of the sections (maybe a paragraph) and use the insights you gained to write your own valuable comment. Make sure your comment is detailed (from 150 - 300 words). The truth of the matter is that influencers have a reputation to protect. Though they have a lot to attend to, they still make out time to research topics and source for exclusive data or conduct experiments on their own. The majority of these influencers also create their own posts, which is time-consuming. They don’t outsource it. Therefore, when they publish a post, they expect some love from their fans. In conclusion, influencers have done the heavy liftings for you. Through blogging, you can stand on their shoulders to grow your business. It’s one step at a time—but you’ve got to be consistent.